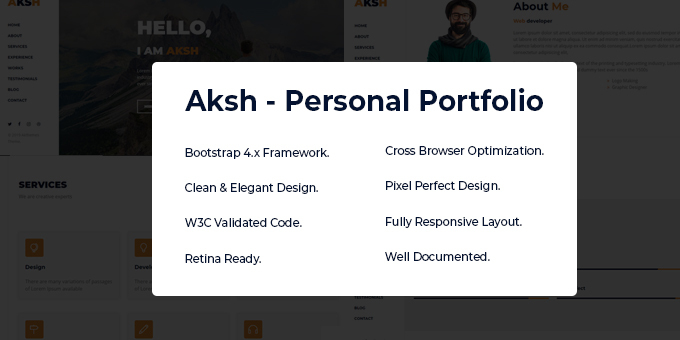 Aksh – A one page based personal portfolio template. This template is designed and developed for every individual. We believe, we have covered everything you need to setup for a Personal Portfolio Website. But, if there is something that you would like to know then we are happy to help you out.